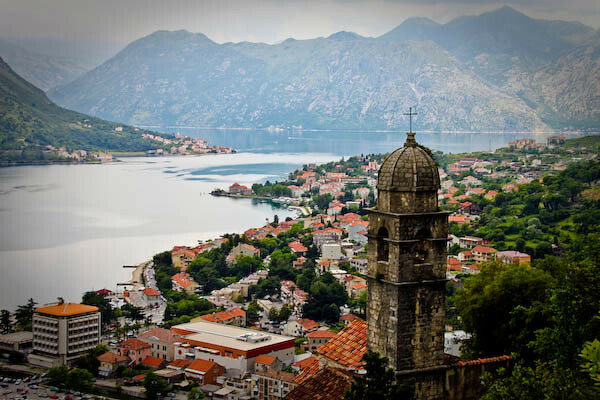 Kotor, Montenegro by N Crisafulli. In order to keep your around the world trip running like a well-oiled machine, you’ll need to figure out how much money to stockpile before you take that first flight. The best way to do this is to plan out an around the world trip budget that takes into account your expenses for your daily needs (food, drink, accommodation, transit) for each place you visit, to tally those numbers and get a target amount to save for. Sound hard? It doesn’t have to be. Just follow the steps below and you’ll have a solid financial plan to keep you from having to return early because you ran out of money. Use this 6-step method to determine how much money to take/save for your upcoming RTW trip. You’ll see a reliable long-term trip budget for traveling expenses on the road materialize before your very eyes, one you can rely on for your entire round-the-world trip! Just be sure to create your travel budget before you buy your tickets – you may have to alter your itinerary to fit your budget–this is much easier than altering your budget to fit your itinerary. Compile a master list of all the places you’re planning on visiting on your trip. Keep the list handy — you’ll need it for Step 3. Using cost-of-living calculators, tally up per day expenses based on your style of travel for each of the places on your master list. Cost-of-living analyses exist for pretty much every country in the world. Here are our two favorite online cost-of-living calculators. Use one, or if you want to be extra thorough, calculate the average of the results you obtain from both. Start compiling information for the traveling expenditure categories in Step 3. Download our Around the World Travel Budget template. Enter the cities/countries from your master list on the left (it may be easier to budget smaller countries as individual units rather than breaking them up by city), then the number of nights you’re expecting to stay in those places. Using the information you tallied in Step 2, fill in the daily average costs on the spreadsheet for each category. Note: do not try to update the “total” line items! All “total” fields have pre-populated formulas to calculate amounts and will update automatically as you enter you costs. Once all your information is entered for every month and destination of your trip, you should have a solid idea of how much to save up for your trip budget. Factor in higher range numbers toward the beginning of your trip then get more conservative with your average spending estimations as you become more comfortable on the road later on — travelers typically spend less money as they become road-savvy. We’ve entered some cities/countries to get you started. Feel free to include them, or switch them out with your own as you assemble your budget. Now start doing some math. If you’re planning on being in Bangkok for 5 days you can use your spreadsheet to calculate how much money you need to have for that destination. When you travel, there are only a select number of things you spend money on – they end up being your budget variables. Compare them against travelers’ who have completed trips to see how yours stands up. Then budget in at least 10% more. (Every budget needs some wiggle room). Compare the aggregate numbers on your spreadsheet to your expected savings amount. If your final budget number is higher than your expected savings amount, skip to Step 6. If your savings is higher than your budget number, congratulations, you’re done! Time to give yourself a pat on the back and follow your savings plan through to you departure date. Adjust your route. If the your expected savings total isn’t enough to cover your trip budget, it’s time to make some changes. Start with changing a few destinations or the time periods you stay in each place. Revisit your master list and spend less time in or skip expensive regions like Europe, Japan and Australia, altogether. You can include them on a future trip when you’ve got more money to travel with. If your budget is tight, it’s best to stick to the places where your money will go farthest. Want more travel budget tips? Read about tiny budget-killing expenses that bleed your savings while on the road and get tips on how to budget for airfare in How Much Will My RTW Flights Cost?